Sometimes sharing a patient’s protected health information is critical for their care. That’s why it’s important for your practice to provide each new patient with a form outlining your privacy policies. Read on to learn how to do this effectively and efficiently. Superbills are quickly becoming the norm for healthcare providers—and for good reason. 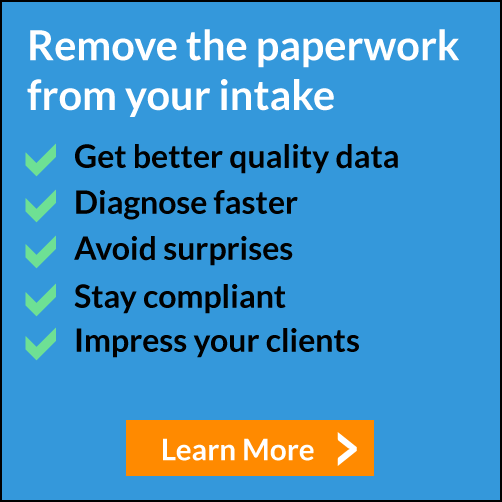 Read this to learn everything you need to know about superbills, plus how IntakeQ can help your practice create them. Consent to treatment is necessary in any health or wellness situation—but when is a consent to treatment form required? Read on to learn when a signature is required, and how to create the proper consent to treatment form. Healthcare is constantly evolving—and so is what patients want from their providers. Check out what areas your practice should focus on for 2019. Your staff is one of the most important parts of your practice—let’s explore how to recruit the right team members.